Cross that one off the "Dream Projects to Finish List"
For Christmas 2010 I was fortunate enough to receive, from the NVO, a crochet calendar (365 Crochet Stitches a Year: Perpetual Calendar by Jean Leinhauser and Rita Weiss.) A wonderful gift, he knows me well and is probably sorry now, but it's too late - the gift has been received and the damage has been done. I plan on trying every single one of the stitches. It will take me longer than 365 days to get through the calendar though, but since it's perpetual, everything will be just fine; no exact deadlines without a year attached to each day. :-) Many, many more posts to come in reference to these stitches. Way fun! Thank you NVO, Jean Leinhauser and Rita Weiss. I love this yarn, it's 100% superwash merino wool, lusciously hand dyed by a local gal at Mybootee Boutique (see http://www.mybootee.com/), but I got to thinking that this stitch may be better with a solid color yarn. Perhaps, I will try that one day after I try the other 364 stitches. Too many projects and ideas and not enough time left (based on the average life span, that is) to do them all! Ha! Retirement is going to be so much fun...hmmmmm...another 15 years, ouch! Okay, no more daydreaming and back to the scarf. The edging pattern was found in the book, Around the Corner Crochet Borders by Edie Eckman, that I purchased from Amazon. It's pattern number 132. I love this book. I must figure out a way to retire early in addition to living longer so that I will have more crocheting time on earth. :-0 Is there a crocheting heaven? 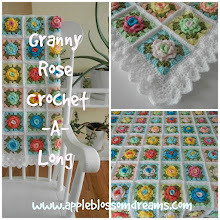 Do all crocheter's go to heaven? I hope so. 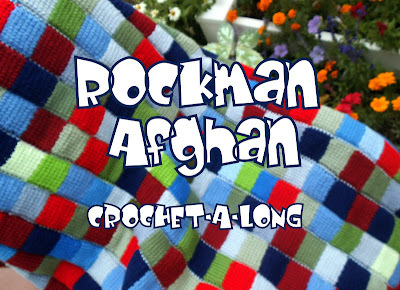 The next project...designing and crocheting the master bedroom afghan. Fant deg hos Colorful Senses. Her hos deg var det mye fint! Gleder meg til å komme til bake hit. Ha en fin dag og :o)! I found the pattern for the heart baskets, but it is in danish. Would you like me to translate it for you, or is it ok? Do you have an e-mail adress, that I can send it to? Just discovered your blog - such beauty. 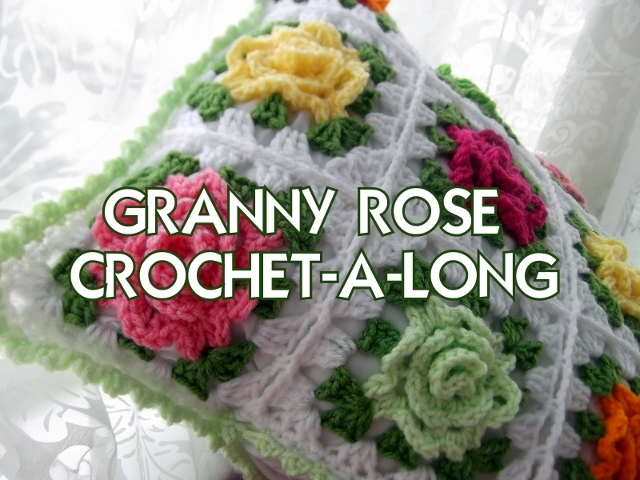 I love the rose granny square - could you let me know where this pattern can be found? Jane - I was unable to reply to your comment with my email address. Please email to digger.lizzie@gmail.com. Thank you! You are a talented crocheter. This piece is stunning!